If you enjoyed the recent nostalgia of The Artist, the catwalk fashions for Spring/Summer 2012 look to continue the revival of the Roaring Twenties, with drop waist dresses, crisp whites, relaxed pastels and glamorous drapes of pearls. The 1920s were prosperous years between two world wars that saw a wave of social, cultural and technology developments. Art Deco styling led the design world with clean geometrical lines and contrasting colours of black, white and gold, inspired by the Ancient Egyptians and the Aztecs. In New York, the Empire State Building and the Chrysler Building are still two of the most emblematic buildings of their time. Technology breakthroughs such as radio, cinema ‘talkies’ and the automobile brought a new and popular sense of freedom. In the fashion world, young women cast aside decades of Victorian fashion and restraining corsets to express their independent and modern aspirations. Detail that was influenced by Art Deco, with zigzags and geometrical shapes, was also however about comfort. Knee-length skirts, drop waist dresses, low necklines with exposed arms and wrists by iconic designers such as Coco Chanel and Elsa Schiaparelli were characteristic of the time. Feathers, tassels and silk added a fluid and deliberately flirtatious appearance. 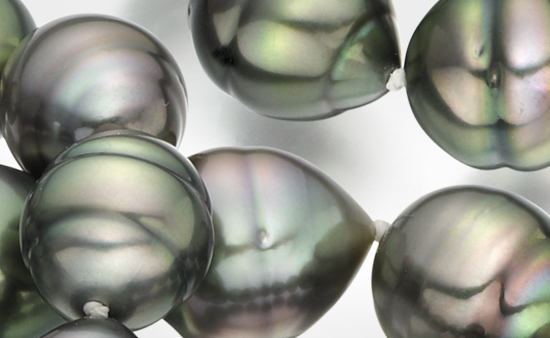 Cultured pearls were the gem of the decade. 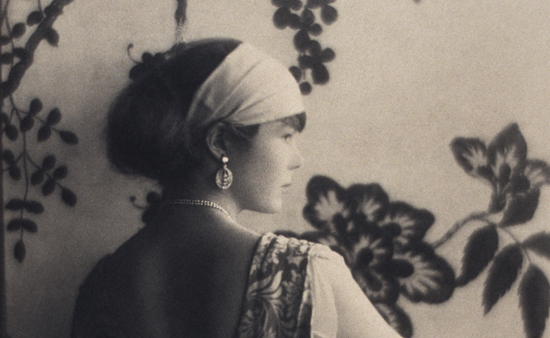 Long white pearl necklaces were wrapped and often layered around the neck, enhancing the low necklines. 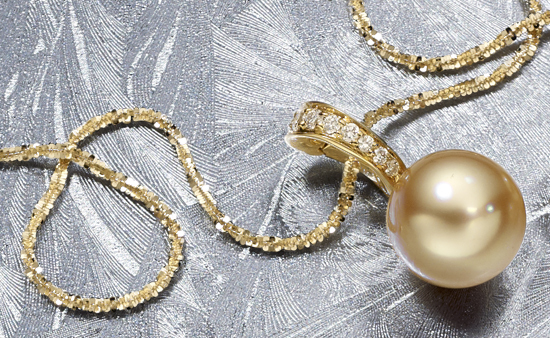 These chic pearl sautoirs would swing with movement and dancing. Earrings and drop earrings sat visibly below bobbed haircuts and pearl bracelets decorated bare arms and wrists. 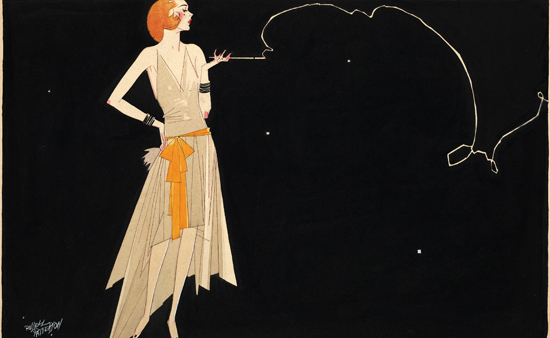 Nearly a century on, the iconic Roaring Twenties that was depicted by F. Scott Fitgerald in The Great Gatsby is still inspiring designers today. In sharp contrast to today's mood of austerity, the Spring/Summer 2012 collections of Ralph Lauren and Gucci reference this seductive era of glamour with fluid lines, slim silhouettes, cloche hats, silk, feathers, drop earrings and of course swinging long white pearl rope necklaces. With a Gatsby film adaptation also due later this year, you could be forgiven for thinking it’s the 1920s again. There may not be the same rebellious energy of the flapper driving automobiles, listening to American jazz and attending glamorous parties but we love its look and confidence.